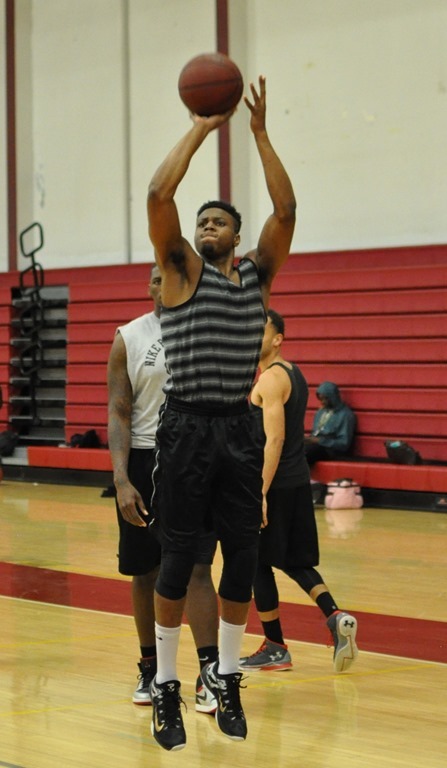 Nevell Lenard 6’5” 210 forward graduated from Animo Pat Brown High School in LA in 2010. Due to an ankle injury, he sat out the 2011-12 season. 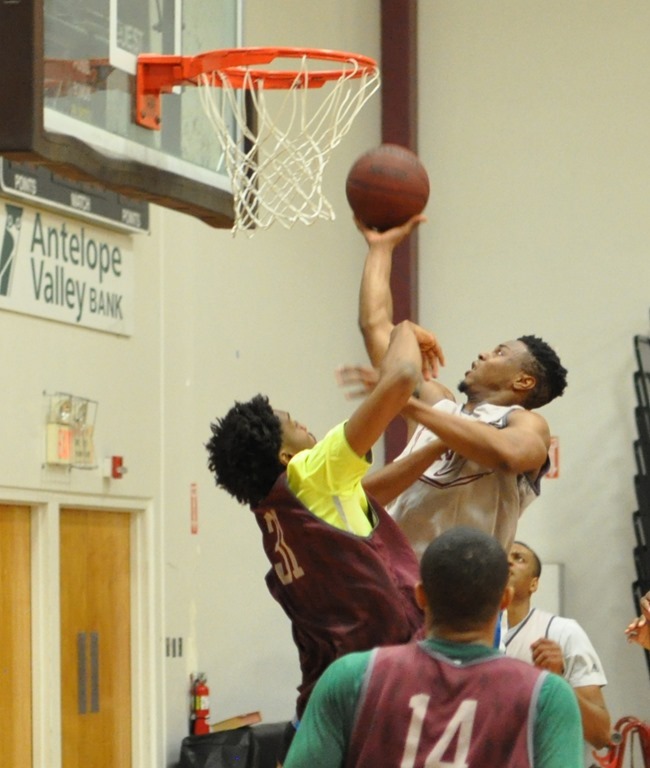 After his injury healed, he decided that he was going to be very cautious about the JUCO that he chose. He needed a college that would provide him a strong academic and basketball environment as this was a jumping off point for a university scholarship. When he heard that assistant coach Murphy Davis was joining Head Coach John Taylor at Antelope Valley College he joined the Marauders. Currently, Lenard is taking classes leading toward degrees in Kinesiology and/or Business. About Nevell’s basketball. The man is strong and his weight room time shows. He has great jumping ability and is willing to play anywhere he can help the team. He is very strong around the baskets, loves rebounds, put backs and a solid mid-range shooter. He will not be pushed around. Nevell believes that this is his year as he is at the right place with the right people. A man to watch.